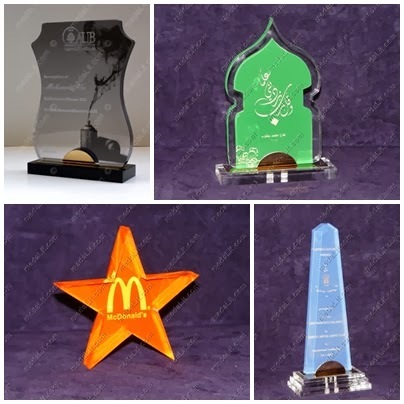 The Absi Sports Acrylic Trophies are made from acrylic sheets. Distinguished by their contemporary design. In addition to the standard crystal clear on top of piano black base, a wide selection of colors are available. Wide space is available for your personalized message. These modern spirit trophies are made from acrylic sheets. All models are personalized by laser engraving your text and graphics. Acrylic sheets thickness is 10mm for both sizes A and B. Standard colors: crystal clear body, on top of either piano black or crystal clear base. Any text and drawing can be laser engraved on the body. Especially on the arc-shaped body base. Engraved areas appear milky white on crystal clear surfaces. Available in 2 sizes A and B (See table below). To personalize your award we recommend that you read through our Personalizing Your Award Guidelines. Before you submit your artwork or logo it may be necessary to review our Artwork Submission Guidelines to make sure that your artwork and file format are compatible with our engraving requirements. 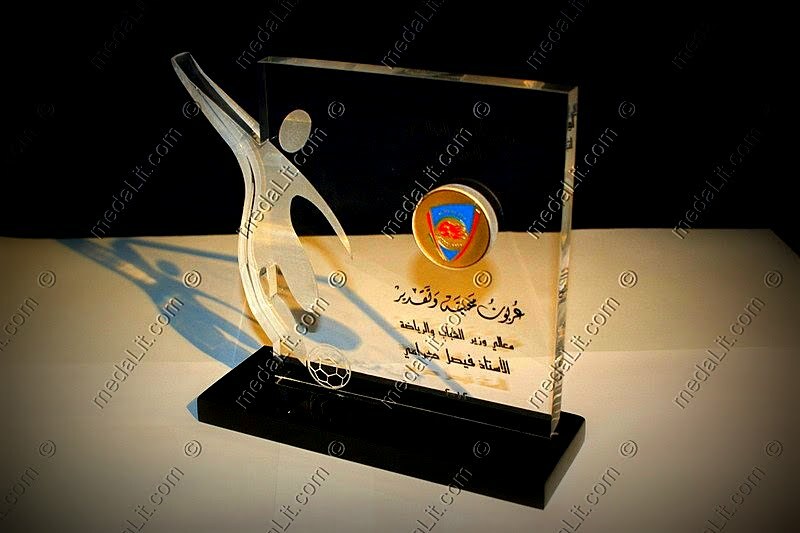 View a one minute video (Arabic voice) about different types of acrylic trophies.